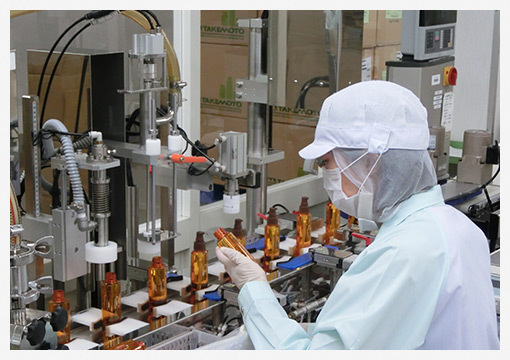 To provide safe and secure cosmetics, we conduct quality assurance-related operations from raw material acceptance to manufacturing, quality inspection, filling, packaging, finished goods inspection, and shipment. 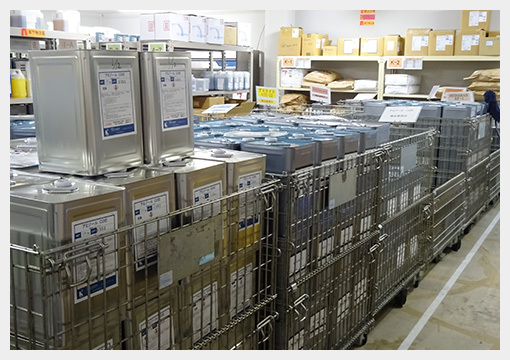 The appearance and color coordination of raw materials and the print and appearance of other materials, such as containers, are inspected and we accept one which passed our strict standard value. 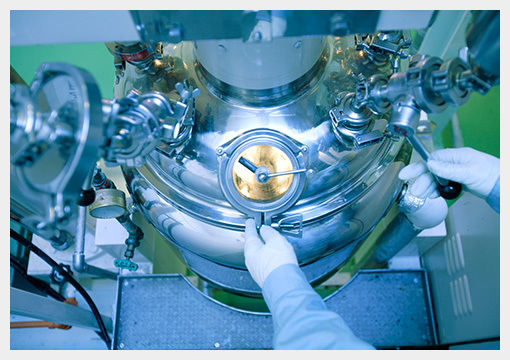 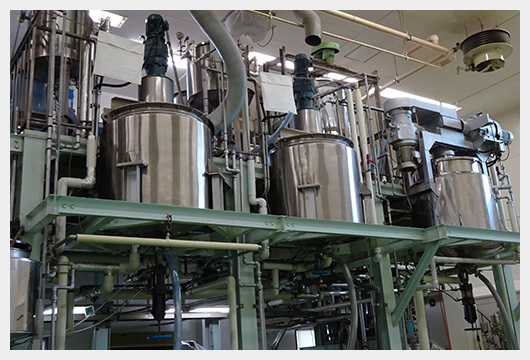 Raw materials are weighed, mixed, heated cooled, and filtered to make bulk product. 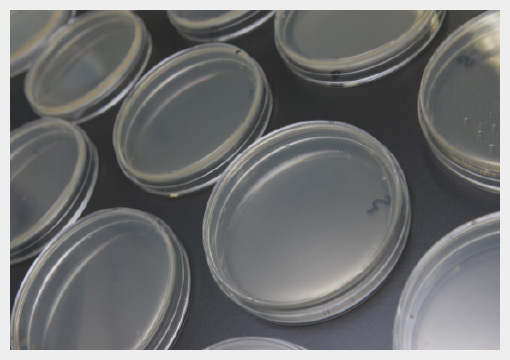 Inspection of viscosity, solidity, scent, color tone, pH level, and existence of microorganisms. 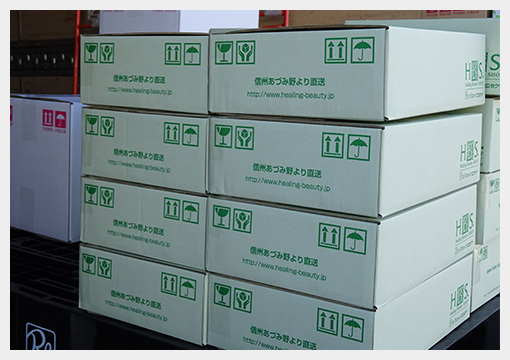 Filling into predetermined containers and packaging with fancy box, inner box and outer package. 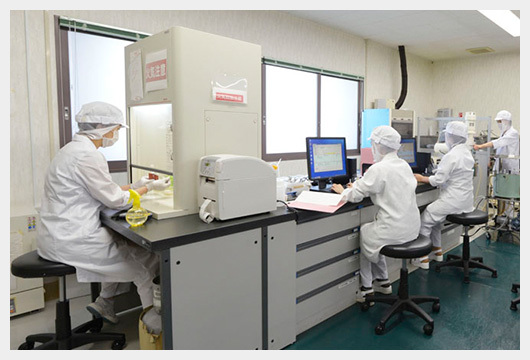 Rather than relying entirely on machines, our products are given the final finishing touches by hand. 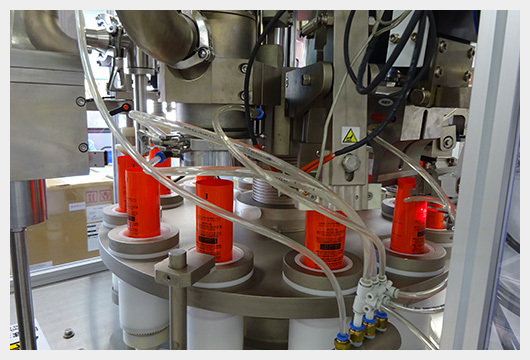 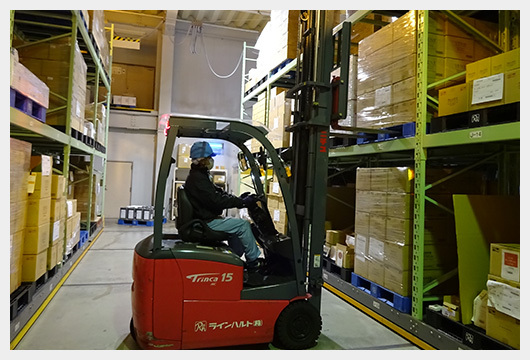 Visual inspection of external appearance,amount of product filled and condition of packages as well as inspection of the existence of microorganisms. 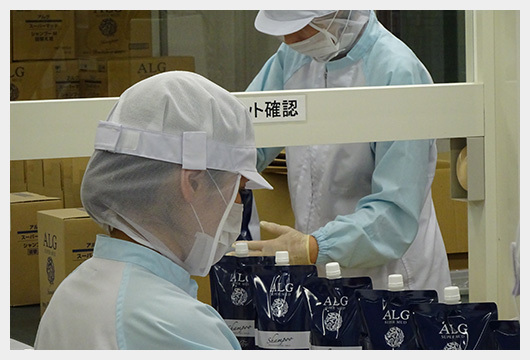 Products are shipped after being picked out for specific clients and customers and packed separately.